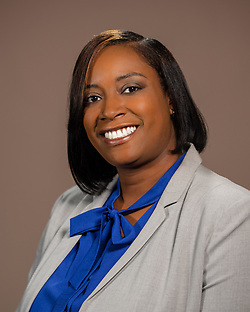 Shameika Sykes-Salvador has been selected as the new principal of Wilson Montessori School. Sykes-Salvador has 20 years of experience in public education. She began her career as an elementary school teacher in Thomasville, North Carolina. In 2015, Sykes-Salvador joined Team HISD as a teacher development specialist. For the last two years, she has served as assistant principal at Berry Elementary School. Before arriving in Houston, Sykes-Salvador served in various roles, including middle school teacher, elementary reading coordinator, Montessori curriculum facilitator, and district Social Studies/Literacy coordinator. Sykes-Salvador earned her bachelor’s degree in Elementary Education from North Carolina A&T State University. She holds a master’s degree in Educational Administration and Supervision from St. Xavier University as well as a master’s degree in Curriculum & Instruction. This entry was posted in Staff updates and tagged wilson montessori on August 7, 2018 by HISD Communications.